The guest as they prepare and wait for the panelists socialize amongst each other. Photo Submitted by Christopher Miller. If we don’t already know that women are doing great things every day, that message was reaffirmed on Wednesday when the Gamma Alpha chapter of Zeta Phi Beta Sorority, in partnership with Student Government Association Vice President Robyn Seniors, hosted an event called “Women Do Great Things Everyday” in the Rec Center. The event consisted of a panel of women who work every day and hold various positions around the state of Florida. 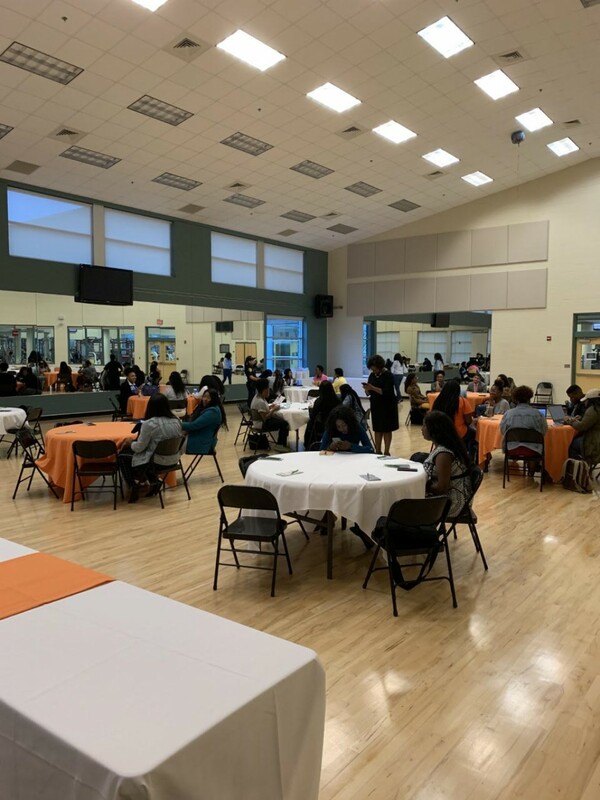 The guest speakers included Angela Suggs, president of the Florida Sports Foundation, and Dianne Williams-Cox, a Tallahassee city commissioner along with other guests. The event exemplified what it is to be a woman in the world today. The panelists talked about pushing the boundaries of everyday life to achieve their dreams. The esteemed panel gave eye-opening information. The panelists stressed the importance of being cautious in terms of who you surround yourself with and the importance of lifelong friendships. Panelist Beverly Barrington who serves as the vice president of strategic planning analysis and institutional effectiveness at FAMU, has held various positions on FAMU’s campus and still does to this day. While speaking to the students she made sure to make it personal and relatable. “Always be a person of your word, and also to make the right choices in life,” she said. She shared a story about a student who was a man of his word who told her he would stop in to see her from time to time, and he did just that. Suggs, a 1992 graduate of FAMU and a 1987 graduate of FAMU High, delivered a testimonial about life. She stressed not knowing who you may meet next and to form connections with the people you meet because you never know when you may see them again or need something from them. “What if I had messed that up? What if I was a complete jerk?” Suggs said. “What if every experience I had was a bad one, or if I had a certain part of my body on my shoulder, or what if I walked about thinking I was whatever I thought I was or how that could come across." Seniors, who is a candidate to be SGA president, said she was proud to be part of the group putting on Wednesday’s event. “This year has been phenomenal for women especially in governmental positions. They’ve been taking over Congress, and me as a female leader on campus I wanted to enhance the experience and the connection for young females on campus. I want them to see these inspirational women and the amazing things they are doing and know that they can do the same things themselves. Most of the women here who are doing great things are FAMU graduates and I want people to look at that. “Not only are women doing great things every day for FAMU, but they are doing great things everyday. This is just so important and an exciting time for our university to take the next step,” Seniors added.